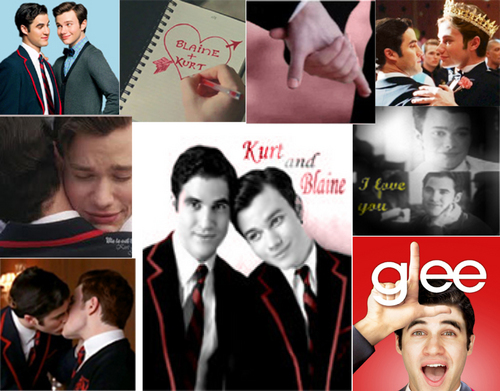 Kurt and Blaine: Klaine <3. Just a Little Something i whipped up while bored....sigh luv them!. HD Wallpaper and background images in the Kurt and Blaine club tagged: blaine kurt hummel glee chris colfer klaine darren criss kurt. This Kurt and Blaine fan art contains business suit.